ADVANCE BOOKING IS NO LONGER AVAILABLE FOR THIS EVENT, TICKETS CAN BE BOOKED AT THE SPIEGELTENT BOX OFFICE 30 MINUTES BEFORE THE START OF A PERFORMANCE. Enter a shifting, gravity-defying space where acrobats push against the edges of reality, stretching, challenging and testing the limits of collective physical endeavour. 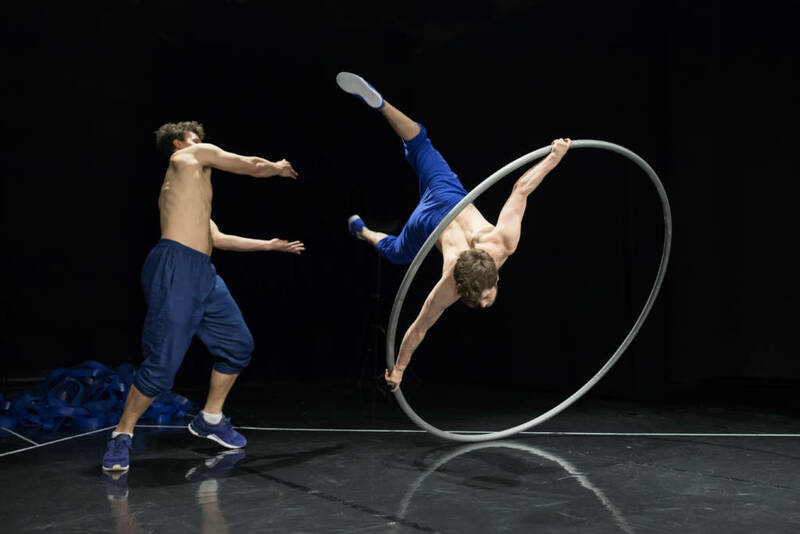 The UK’s ground-breaking circus company Barely Methodical Troupe bring their trade mark mix of exceptional physical prowess and punchy humour, with a brand new show that also features artists from Spain and Sweden. With thanks to Norfolk & Norwich Festival Director’s Circle Supporters Simon De-Lacy Adams & Robin Norman.